This How-To covers adjusting the sound levels of music on hold/custom recordings for the Avaya IP Office/ShoreTel systems, but can be applied to other systems if they support the same file settings or if you know the correct settings required. 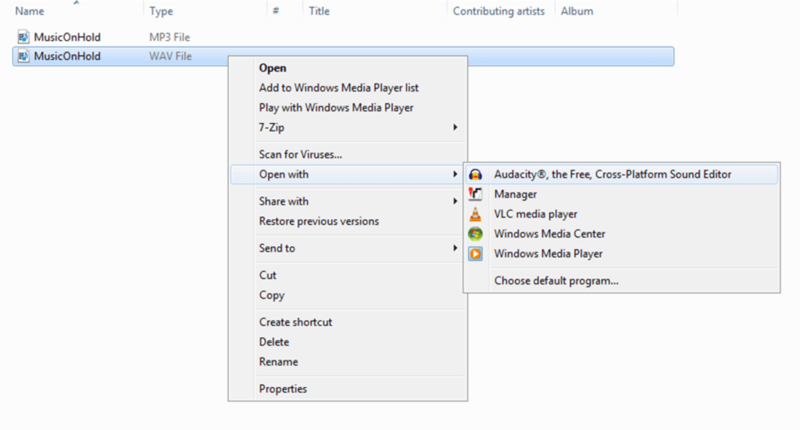 Right click on your audio file and select “Open with”, choosing Audacity from the list of programs to open the file with. The average human can only distinguish volume changes of around 3 decibels (dB), so if you need to adjust the volume of your music on hold/custom recording files, it would be best to increase/decrease in 3 dB increments. 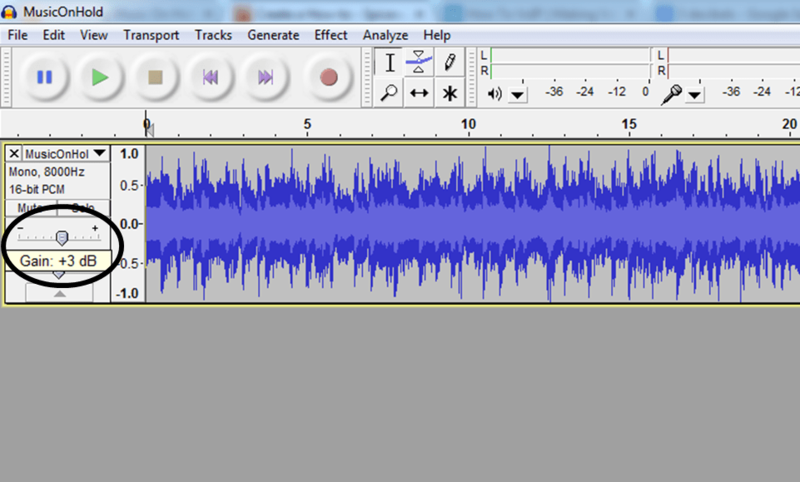 To do this in Audacity, on the left hand side of the audio track there should a volume bar which can be increased/decreased in levels of 1 dB, ranging from -36 dB up to +36 dB. 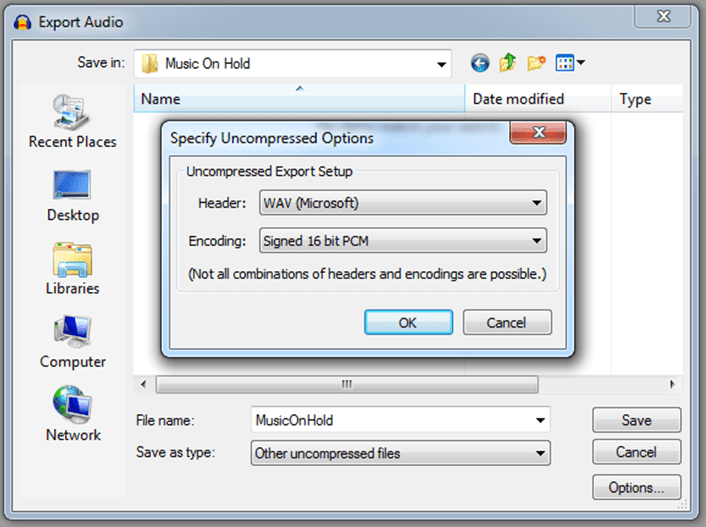 After adjusting the volume, save the file with the necessary settings for your system. All files must be in .WAV format. Files such as .mp3 are not supported. All that’s left to do after saving is to copy the files to their relevant folders/locations and check to see whether the volume levels are at a more satisfactory level than before.